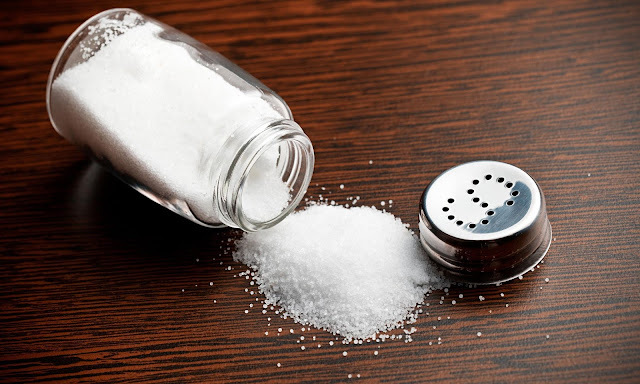 Home / health / How to Instantly Stop A Headache With A Little Salt. How to Instantly Stop A Headache With A Little Salt. Approximately 45 million of the US citizens suffer from chronic headaches, and about 28 million of them suffer from migraines. Headaches may appear suddenly or gradually, and they may last less than half an hour or couple of days. A headache pain can make your day miserable and destroy all your plans. This pain is usually strong and unbearable. In many cases, headaches can be treated at home with some over-the-counter painkillers, getting more rest and consuming enough fluids. If you don’t want to take pills and looking more for some natural remedy, you should try this easy and simple recipe. The main ingredient for this remedy is salt. It is a simple method: make yourself lemonade and instead of honey or some other sweetener just add two teaspoons of salt. Drink your “Salty Lemonade” and get rid of the headache fast. If you choose to try this healing method for headache it is best if use Himalayan or sea salt. Himalayan salt contains 84 trace minerals, electrolytes and other elements that have a beneficial effect on the human body. It is a natural source of sodium, which helps regulate blood pressure and helps to control muscle contractions, heart functions and nerve transmissions.